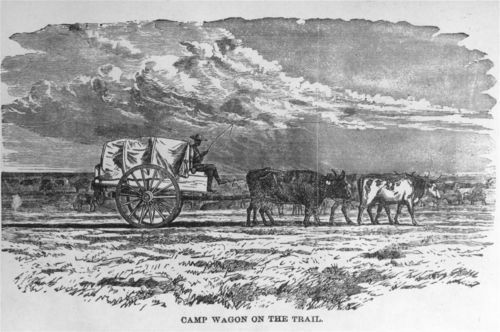 This photograph shows an illustration of a camp wagon on the trail. The illustration was copied from Joseph G. McCoy's Historic Sketches of the Cattle Trade of the West and Southwest, 1874. The illustrator is Henry Worrall.